This summer we’ve launched a new program: alumni internships. 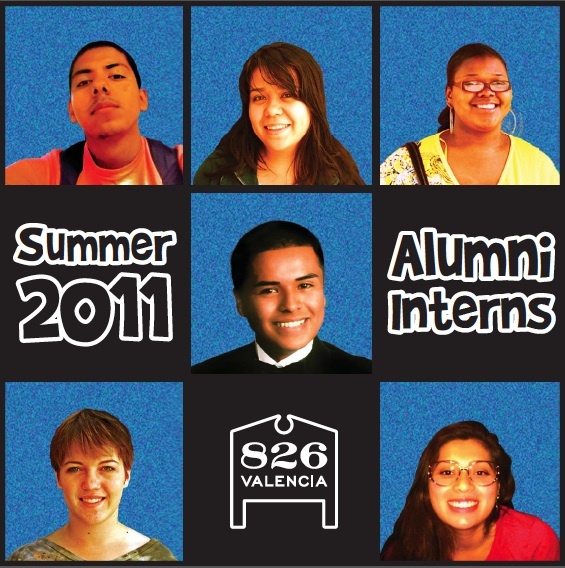 The idea is that we invite former scholars and program participants back to 826, this time to assist with overall operations as interns. We are happy to have Andrea Torres, Osvaldo Marquez, Erica McMath, Gina Cargas, Josselyn Bonilla, and Martin Arellano with us for the next three months helping out with programming, events, administration, fundraising, and everything in between. Our favorite part about this arrangement is that these 826 family members are inspiring our younger students to continue on past graduation and gain quality professional experience in the realms of education and nonprofit work. The alumni internship program is funded this year by The Brin Wocjicki Foundation, Peter and Connie Yedidia, and Warren Brown and Gina Falsetto.